Power Magic Pro uses advanced power management circuitry to ensure your dashcam doesn’t deplete your vehicle’s battery when operating overnight. 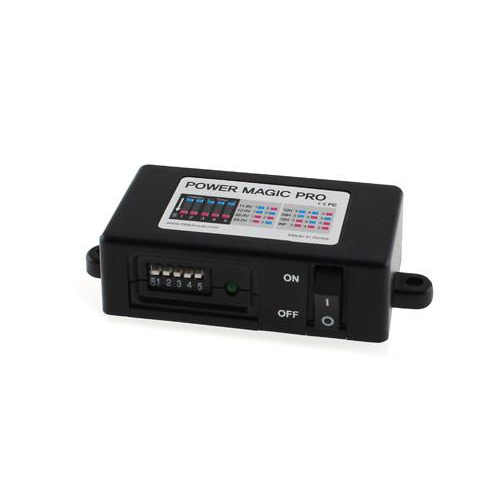 Power Magic Pro has a pre-set voltage cut-off level which prevents the dashcam from continuing to operate if the vehicle’s battery drops below a safe level. Parking Mode Switch ON: Power Magic Pro supplies your BlackVue with power even if the ignition of the vehicle is turned off, until it reaches voltage cut-off or timeout value. Parking Mode Switch OFF: Power Magic Pro supplies power to your dashcam only when vehicle ignition is on. You can configure Power Magic Pro to supply power to your BlackVue for a preset duration, from 6 hours to infinity. The timer function is only active when the vehicle’s ignition is off and automatically stops if ignition is on. When vehicle’s ignition is off, Power Magic Pro checks your vehicle’s battery voltage periodically while powering your BlackVue. If power drops below the set cut-off level, Power Magic Pro automatically cuts power to the dashcam, thus saving your vehicle’s battery life.